High tides for Tuesday combined with strong winds will lead to some large waves and coastal flooding in Norfolk, Suffolk and Essex. Coastal/tidal flooding is possible in places along the east coast of England on Tuesday and into the early hours of Wednesday but is expected in parts of Norfolk and the north of Suffolk on Tuesday morning to early Tuesday afternoon. Low lying land and roads will flood and there could be travel disruption. A flood warning has been issued for parts of the Norfolk Broads because high tides are preventing rivers from draining into the sea. In the six days since Christmas more than a month's worth of rain has fallen across much of the Anglia region forcing rivers into flood. The Environment Agency is warning of potential flooding on the East Anglian coast and along tidal rivers due to high tides and strong winds. The Environment Agency has issued a number of flood alerts in the Anglia region after heavy rain. The Environment Agency has issued a flood warning for homes in the village of Oakington north of Cambridge. As heavy rain continues to fall the Agency says properties and low lying areas around Oakington and Westwick will start to flood from around 4am on Wednesday 28 June. "Heavy rain is currently falling in the Cottenham Lode catchment and will continue throughout the night (Tuesday 27 June). "Cottenham Lode is reacting to the rain and is forecast to rise through the night. 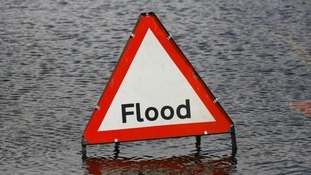 "Properties and low lying areas around Oakington and Westwick will start to flood from around 4am Wednesday 28 June. Properties are advised to install their property level protection now. "Remain safe and be aware of your local surroundings." The Environment Agency has issued a series of flood alerts around the East Anglian coast with a storm surge expected to bring high tides. A number of flood alerts are in force in the Anglia region with river levels high due to continuing heavy rain showers.